 The Leadership Board of the College of Arts and Sciences recognizes students who have excelled on campus through their Outstanding Sophomore and Outstanding Junior Awards. In making its annual selections, the committee will look at the applicant’s extraordinary character and maturity, leadership, well-rounded experiences including strong academic performance and involvement in curricular and co-curricular activities. There are typically multiple recipients of this award. The total amount awarded may range between $1,000 and $2,000 total. The recipient(s) will be recognized at the College’s Honors Day Convocation in the spring and the scholarship award will be applied to the 2018-2019 academic year. Please email your essay and resume to Persio Logos. The deadline to apply is Friday, February 1, 2019 at 4:00pm.